My tryst with writing – a long story! 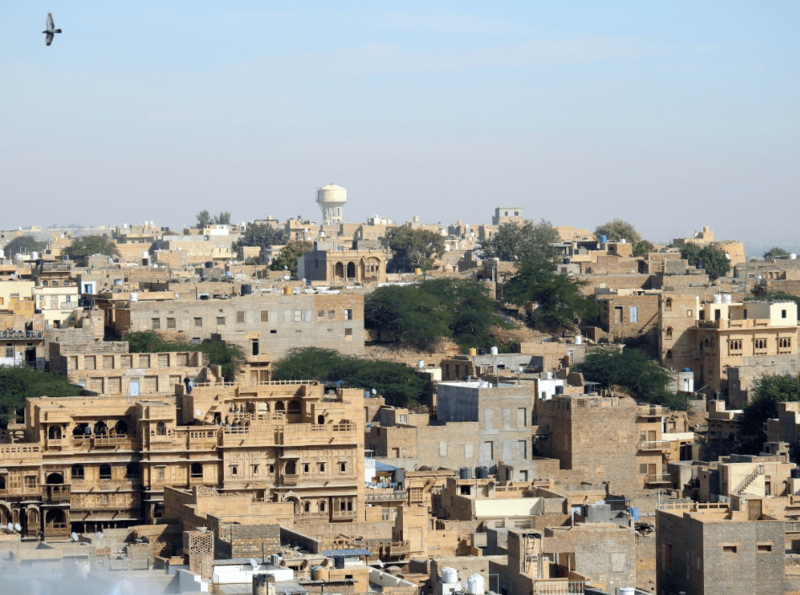 Jaisalmer – the city that goes by the moniker Golden City courtesy its desert and yellow sandstone buildings is a potpourri of culture, art, craft and tradition in the midst of the Thar Desert. 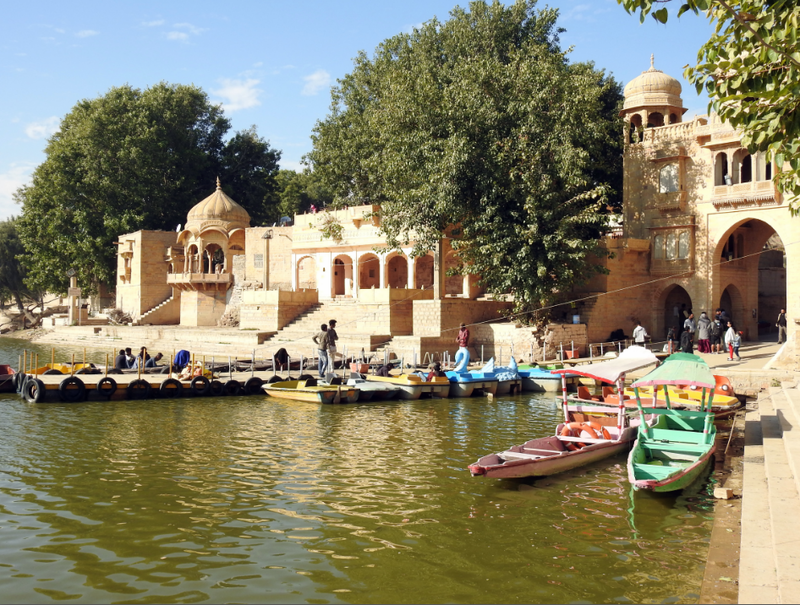 “If you want to really enjoy Rajasthan, go to Jaisalmer,” said a friend to me many years back when I mentioned to him that I wanted to visit the largest state in India. And when I landed here on a recent trip, I realized almost instantly that he was so right. In so many ways, this dessert city embodies what we associate Rajasthan with. Incidentally, being closest to the India-Pakistan border there are excellent roads maintained by the Border Roads Organisation through the city. 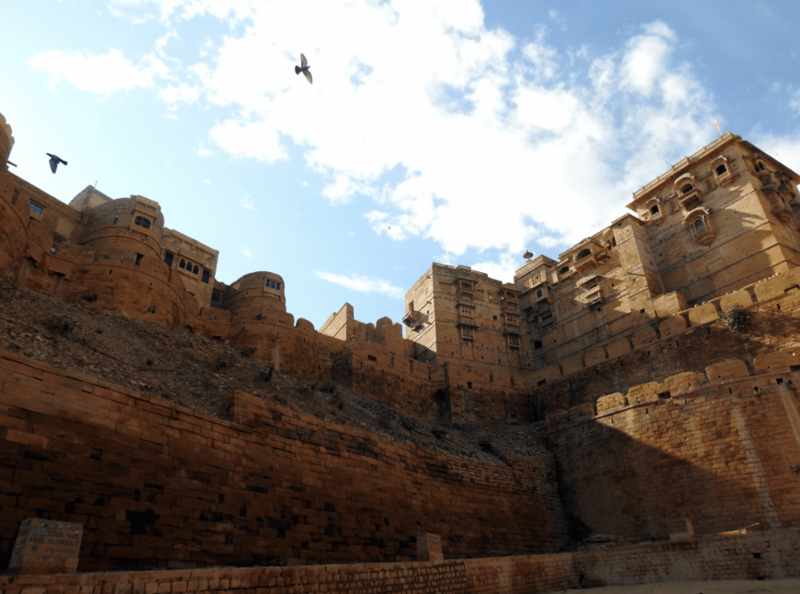 The best way to start your exploration of the city is to head to the towering majestic Jaisalmer Fort a UNESCO World Heritage Site around which there is a buzz that is unmissable. Well after all this is a living fort that dates back to over 800 years. A drive through sepia toned landscapes, old buildings and havelis brings me face to face with the majestic yellow sand stone façade of the Fort. The massive fort named after Bhati ruler Maharawal Jaisal, is called Sonar Quila or Golden fort as the colour of the fort and adjoining buildings have a golden hue. The five kilometer circumference fortification wall has 99 bastions and the main fort has two walls running parallel to each other with a gap of 2-4 meters in between that was used for the movement of security guards in the past. Walking into the ramparts from the Ganesh Pol, there is a sense of vastness that envelopes me immediately. Inside the fort there are several vendors who sell colourful handicrafts and handlooms and walking past the buildings feels rather nostalgic. The architecture here is a stunner with intricate jail work, detailed carvings and arches around doors and windows that will make you click pictures nonstop. At the center is the Dussehra Chowk square home to the 11-storey palace that was the home of the past rulers. The beautiful structure has the Rang Mahal a painted and mirrored room that is so bright and colourful that it will make you stop and gape in admiration. While you are here a stop at the group of intricately carved Jain Temples dedicated to Jain Tirthankaras Rikhabdevji and Shambhavdevji that have been built between 12th and 15th centuries and connected by corridors and walkways is a must. However it is the havelis or the old homes here that had me completely mesmerized. The Patwon ki Haveli a cluster of five havelis was the home of a rich trader and his five sons and is run like a museum. So you buy a ticket and navigate around the house for a glimpse of how they lived in the past. The 19th century Nathmal Ji Ki Haveli is a beautiful symmetrical construction and its miniature style paintings are eye catching. The private Thar Heritage Museum privately owned and operated by historian LN Khatri is a great place to take a trip down memory lane and understand the culture of the region. The museum has a display of fossils, portraits, sculptures, manuscripts, weapons and kitchen equipment. An important geological site, Jaisalmer is home to the Wood Fossil Park or Aakal is where you can trace geologic tragedies that happened in the Thar Desert over 180 million years ago. 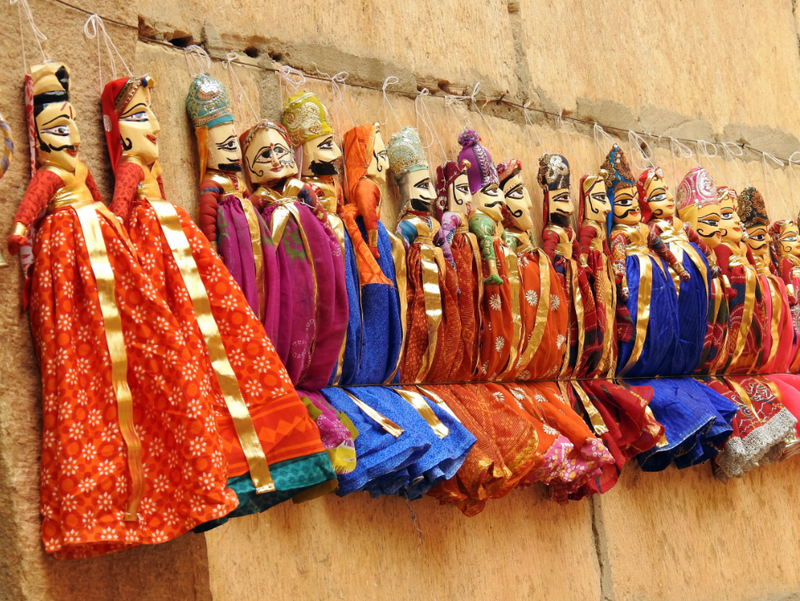 The Jaisalmer Government Museum by the Department of Archaeology and Museums has exhibits from the 7th and 9th century AD displays traditional household items, jewellery, rock-cut crockery and statues reflecting the rich cultural heritage. The trophy of Rajasthan‘s state bird Godawan or the great Indian bustard is an attraction here. The Jaisalmer War Museum is a tribute by the Indian Army to the soldiers who lost their lives in the 1965 India-Pakistan war and the 1971 Longewala battle. A perfect morning is when you visit the Gadisar Lake an artificial reservoir that was the only source of water supply until 1965. What makes this place interesting is the calming waters as well as the ghats, small temples and shrines dot the banks of the place. There are many boatmen here and an array of colourful boats that entice you for a boat ride where you can catch a magnificent sunrise as well as feed the catfish as well spot the migratory birds that flock here in the season. The Bada Bagh garden complex houses chhatris or royal cenotaphs of Jai Singh II as well as other Maharajas of Jaisalmer and the gardens offers wonderful sunset views too. If wildlife is your calling a visit to The Desert National Park that showcases the wildlife of the Thar desert’s ecosystem like the black buck, chinkara, desert fox, Great Indian Bustard and migratory birds during winter is a must see. 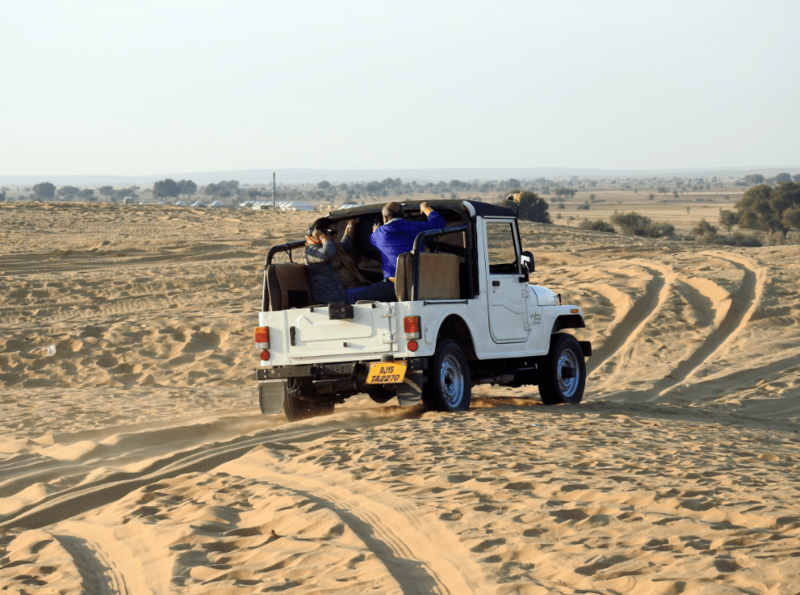 Since you are in the midst of the Thar Desert I recommend that you head out for some amazing experiences in the sands and the Sam Sand Dunes here are the perfect way to spend an evening out. I started my experience with a four wheel drive on a jeep that started quite simplistically before we reached the dunes and then it was a topsy-turvy drive that will give you a different kind of adrenalin rush. The 30 minute drive was good fun and I soon found myself atop a camel for a sunset camel safari. Let me also warn you that the camel ride is quite bumpy but if you do make it, you will be treated to some brilliant sunset views over the desert sands. Do remember to tip the camel owner who will feed the animal on your behalf. If you opt for a safari package you will also be able to head to a camp to spend some time listening to Rajasthani folk music and see traditional dance forms while you nibble on snacks. Dinner is a typical Rajasthani meal that comprises favourites like daal bhaati churma, sweet kadhi, masala khichdi and moong dal halwa. After my trip I made sure to call my friend to let him know that everything he told me about Jaisalmer was indeed right, the call of the desert is not to be missed. Reach: The closest airport is at Jodhpur airport 284 kms away and Jaisalmer has a small military airport that has a few limited connections as well. Stay: There are numerous hotels across categories and you can also stay in luxury camps in the desert for a different experience. The Vyas Chhatri at the end of the city is dedicated to the author of Mahabharata, Vyasa and has many cenotaphs. The abandoned village of Kuldhara is located along the Barmer Road about 35 km away from the city.